The Gala Dinner will be held at the Restaurante Associação Agrícola de São Miguel on April 16th, from 8:00 p.m. to 10:30 p.m.
We will depart from the Lince Azores Hotel at 7 p.m. where the bus will take us to the restaurant, located in Ribeira Grande. Guests are invited to gather at the hotel lobby from 6:30 p.m. The Gala Dinner will include several courses with typical food from Azores, such as São Jorge’s cheese, black pudding with pineapple, grilled swordfish or sirloin steak. This event will also include some local live music entertainment. The Social Event will take place on April 17th, from 12:30 p.m. to 7:30 p.m.
We will depart from the venue hotel and head to the Furnas Valley. On this route, we will visit several locations with stunning landscapes, with unique and intriguing features. Our first stop will be at Furnas, a small village on the lake margins, where we will observe the cooking of the typical “Cozido nas Furnas” stew. The particularity of this meal is that it cooked by the steam of the volcano, by burying it in the ground. Note that the average cooking time for this dish is five to seven hours! The second stop will be in “Tony’s Restaurant”, where the traditional Portuguese stew will be served. This dish includes all the ingredients that characterize this typical Portuguese dish: pork, beef, chicken, chorizo, black pudding rolled in the cabbage leaf. After lunch, we will walk through the Valley of Furnas, which is in fact, a volcanic crater that has been dormant since 1630. Afterwards, we will visit the “Parque Terra Nostra”, where we will have the chance to visit this beautiful park with a large variety of plants and trees. The park also has a natural thermal pool with warm iron-rich water, fed by the volcanic sources of this region. So, don’t forget to bring your swimming suit! On our way back to the hotel, we will pass by Gorreana factory, created in 1883. It is the only place in Europe producing black and green tea. Geomorphological, the Valley of Furnas forms part of the massif of the Furnas Volcano, one of the three central volcanoes active in the island of São Miguel. So, volcanism is present in all the smallest details of the life of the small settlement of Furnas, which is one of the most active thermal locations on Earth, the result of a great number of volcanic springs and waterways. The most popular attraction for most visitors to Furnas is no doubt the thermal baths. Furnas possesses several establishments where it is possible to enjoy the benefits of water from the interior of the earth, charged with minerals, among them being the thermal pool of “Parque Terra Nostra”. 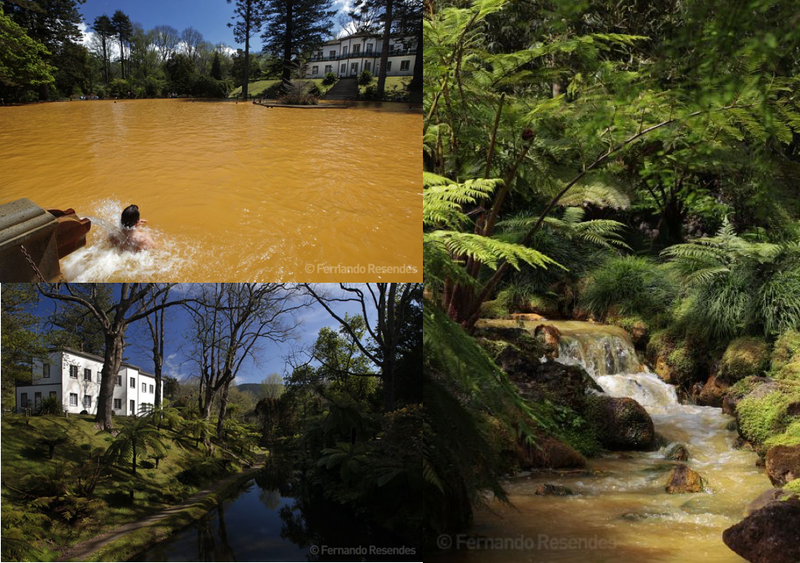 Where it is possible to try one the thermal pools that exist in Furnas, so don’t forget to bring your swimming suit. The Social Event includes the access to Parque Terra Nostra”. In Furnas, the air temperature varies between 10ºC and 16ºC in the winter, and between 20ºC and 25º C in the summer. The monthly air temperature, averaged on an annual basis, is 15.1ºC, with a maximum of 19º C and a minimum of 11.2º C. Relative air humidity throughout the year is high, sometimes reaching a maximum of 80% to 92%. This is chiefly due to the fact that the parish of Furnas is located at a considerable altitude and is rich in vegetation. The parish of Furnas thus enjoys a microclimate that, associated with volcanic soil and the existence of innumerable hydric resources, permits and encourages adaptation and great vegetable diversity. The City Hall Reception will be held at the Ponta Delgada City Hall on April 19th, from 6:30 p.m. to 7:30 p.m.
We will depart from the Lince Azores Hotel at 6:00 p.m. and have a short walk in the Ponta Delgada town center. 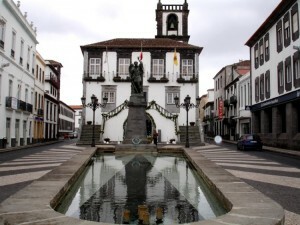 In this 30 minutes leisure stroll, we will pass some key landmarks and lovely local attractions of the city of Ponta Delgada before arriving to the Ponta Delgada City Hall. The City Hall Reception will begin at 6:30 p.m. with an opening cocktail including drinks and canapés, followed at 7:00 p.m. by some speeches.